I was given a new little pet yesterday. 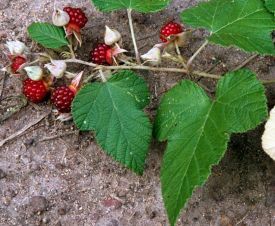 Rubus moluccanus or Native Raspberry. Very exciting! Here are some links for info. Thinking about various spots to plant it given that I am looking at changing the layout of plants in the garden over the coming weeks. Such a wonderful addition to the berry collection. I also picked up a blueberry and thornless blackberry today. Well, I have to have something to keep the raspberry company! Well hello! Yes, I'm sure it will be. I have been harvesting Babaco at the moment too and keeping them till very ripe and THEY are delicious also when fully ripe. Wonderful things.